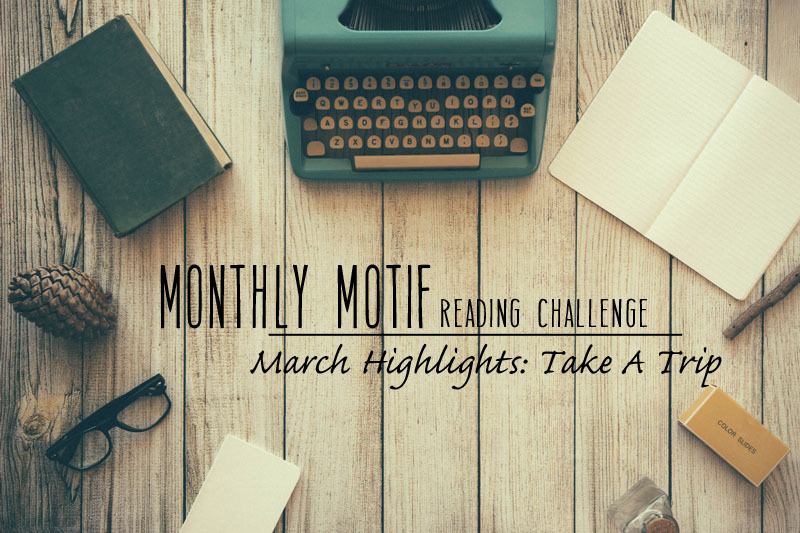 Plugging right along with the Monthly Motif Challenge! This month we visited other countries with our Take A Trip theme. Here’s what we read plus our favorite reviews from you!Kim- The Golden Son, Shilpi Somaya Gowda. Tanya – Lagoon, Nnedi Okorafor. When a massive object crashes into the ocean off the coast of Lagos, Nigeria’s most populous and legendary city, three people wandering along Bar Beach (Adaora, the marine biologist- Anthony, the rapper famous throughout Africa- Agu, the troubled soldier) find themselves running a race against time to save the country they love and the world itself … from itself. Katrina read Pierce Brown’s Golden Son- This series is so awesome! The Greedy Reader read The Restaurant of Love Regained- Glad you finally found a winner for this month. Ellie read a Little House book and traveled to Wisconsin- so fun to see this book being chosen. What award winner are you reading?